SAN FRANCISCO, US: Hewlett-Packard said Wednesday it plans to cut 27 000 jobs, or 8% of its global workforce, by 2014 in a major restructuring effort for the computer giant. The world's biggest personal computer maker said the move was part of "a multi-year productivity initiative designed to simplify business processes, advance innovation and deliver better results for customers, employees and shareholders." 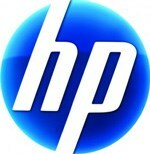 The restructuring is expected to generate annualised savings of $3.0-3.5bn by the end of the 2014 fiscal year for HP, which is struggling amid a move to mobile devices and tablet computers. The savings will mostly be reinvested back into the company and boost investment in areas such as cloud computing, big data and security, and other segments "that offer attractive growth potential." The workforce cuts will include an early retirement program and "will vary by country, based on local legal requirements and consultation with works councils and employee representatives, as appropriate." The company will also seek savings in other ways including improvements in its supply chain and simplifying some business processes. "While some of these actions are difficult... We are setting HP on a path to extend our global leadership and deliver the greatest value to customers and shareholders," said Meg Whitman, HP president and chief executive. The move came as the Palo Alto, California-based firm reported a 31% drop in profits in its second fiscal quarter to $1.6bn. Revenue in the period fell 3% from a year ago to $30.7bn. The results excluding special items amounted to 98 cents a share, better than expected. Moreover, revenues were above most Wall Street estimates as well. In after-hours trade, HP shares jumped 5.69% to $22.28. "We are making progress in our multi-year effort to make HP simpler, more efficient and better for customers, employees, and shareholders," Whitman said. "This quarter we exceeded our previously provided outlook and are executing against our strategy, but we still have a lot of work to do." News of the reorganisation leaked last week, but analysts gave a cool reception. Deutsche Bank analysts said previous cuts "have done little to improve HP's competitive position or reduce its reliance on declining or troubled businesses" and added that the company "has been restructuring for the past decade." A separate note from Bernstein Research lamented "HP's apparent lack of competitiveness," and argued that "investors view HP as a 'broken' company." Whitman has vowed to turn the company around after a series of problems including a failed tablet computer and a reversal on plans for its PC unit. A former chief executive of eBay and unsuccessful candidate for governor of California, Whitman took the reins at HP in September after her predecessor, Leo Apotheker, was ousted after just 11 months on the job. In the quarterly results, HP said revenues from its Personal Systems Group, which includes the PC division, were flat year-over-year. Desktop sales were up 5%, notebook units were down 6% and total unit sales were down 1%. Last year, HP announced it was discontinuing the TouchPad, a tablet computer powered by its own webOS software, just seven weeks after it hit the market dominated by Apple's iPad. HP also last year said it was readying plans to spin off its PC division and stop making tablet computers, but reversed course later after naming Whitman as chief executive. The low-margin PC market has been flat amid an astronomical increase in powerful smartphones and the arrival of hot-selling tablet computers such as the iPad. Dell, which is the number three PC maker worldwide and faces similar problems, on Tuesday reported a 33% drop in quarterly profits.